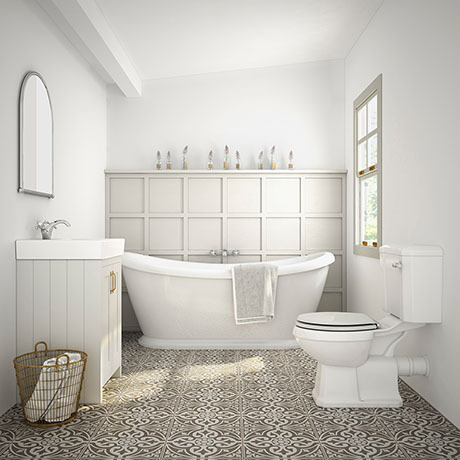 The Chatsworth traditional close coupled roll top bathroom suite - featuring a grey vanity unit sink, close coupled toilet and a 1770mm long double ended freestanding bath. Victorian inspired design with a modern twist. The Chatsworth range of charming bathroom furniture features classic styling with a quality satin grey finish and tongue-and-groove side panelling.